This is our most complex and vineyard-driven Pinot release yet, which is not to say that it is our largestscaled, but it is certainly our most 'serious'. 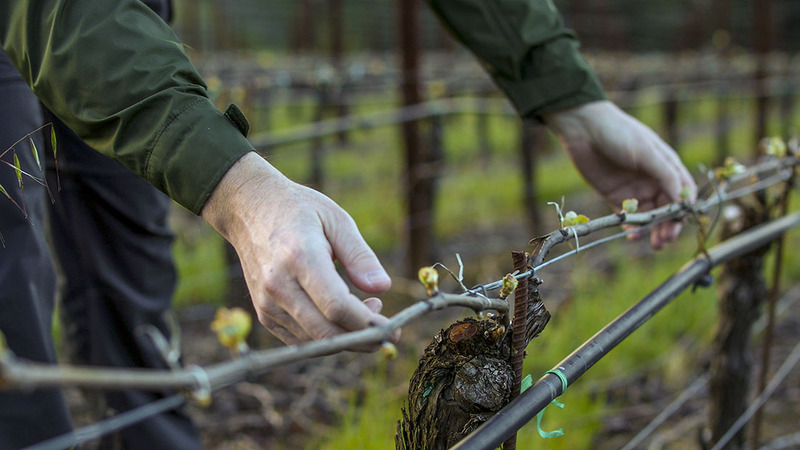 In contrast to our Russian River designated wines, the "Finn" cuvee is less about primary fruit and texture but more earthy and structure-driven. A blend of our two favorite vineyards and three clonal selections, the wine encapsulates our approach to winemaking. Low yields, fully ripe (but not overripe) fruit and clonal diversity, coupled with a precise vinification and longer maceration, designed to emphasize structure and bring out vineyard complexity. The Pommard clone dominates with its classic dark peppery, truffle notes. Swan adds texture and brightness and Old Beringer provides wild berry sweetness and floral elegance. The higher percentage of new barrels, from our favorite cooper, frames the wine, adding nuance and structure but never dominating the intrinsic character. The lengthy elevage, determined by the wine's natural density, has slowly integrated the distinctive flavors and structure to give long-term aging potential. Full medium red that darkens with aeration. Highly complex aromas of black cherry, earth and peppery spice, underpinned by dried herbs and rose petals and lifted by notes of green tea and tangy orange peel. The palate is powerful, dense and layered with concentrated flavors of wild berries, grilled meat, mocha and spicy licorice. The mid-palate is textured and chewy with a truffle/gamey quality that turns to bittersweet chocolate showing great extract and richness. The ripe tannic frame and soft balancing acids allow the complex leathery finish to slowly unfold.